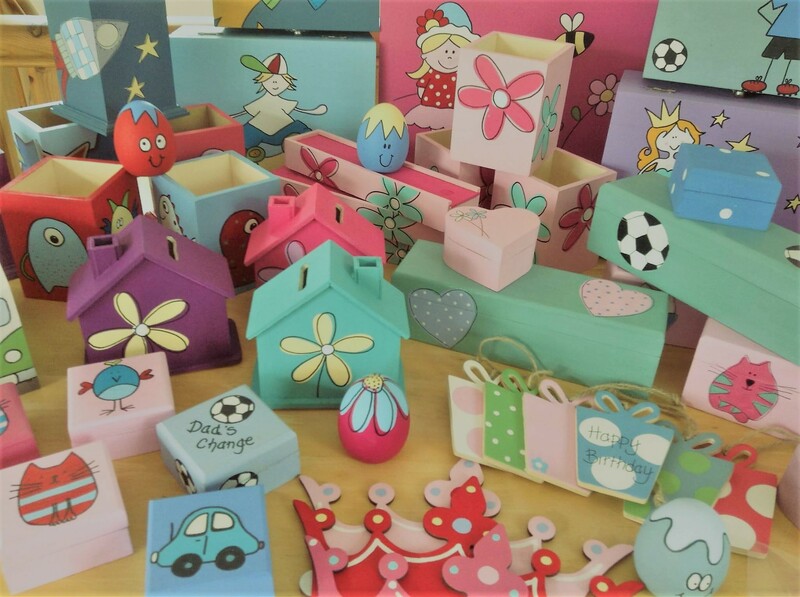 I offer a wide range of unique hand painted wooden items that range from coasters, pencil boxes and door plaques to canvases and keepsake boxes. 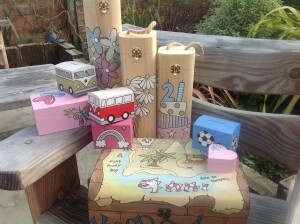 They make perfect presents for Christmas, christenings, weddings and birthdays. I offer a wide range of signs, for mums, dads, dogs, cats which can be cute, funny, loving, and personalised. 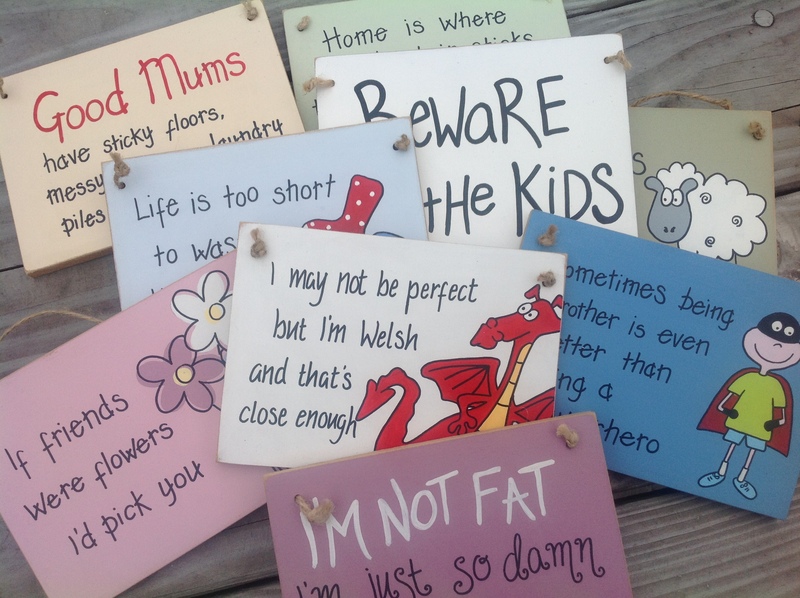 These can be for christenings, weddings, births, or just because…..bespoke orders taken. 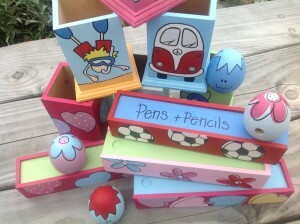 A variety of items from pencil pots and sharpeners to coasters and spinning tops. Something to suit any pocket or any occasion.